This is one of the most gripping stories i have heard or read. 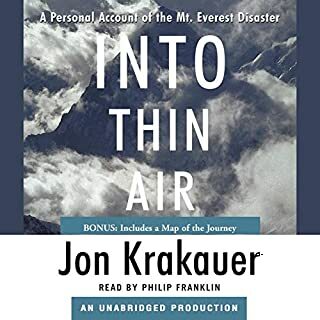 I first read the book Into Thin Air by Jon Krakauer of how this tragedy happeded, once finished i felt that the russian climber Anatoli Bourkreev seemed to not have done is job properly and was possibly to blame for a number of the eight deaths that happened that day. The worst day in Everest history. so when i found that The Climb had been written I had to know more. I am glad that i did, I belive that the climb gives a much more balanced account of what happed. Anatoli Bourkreev was an incredbly brave and strong man. There are a number of witness reports in the story to prove this, whilst Krakauers book is based on assumptions and his thoughts of what happened, Bourkreev had even helped him durring those terrible few hours He seems to have a real axe to grind. Why not listen to both and see what you think. Absolutely amazing story very well read by the narrator. I'm very sad to hear that Anatoli Boukreev lost his life about a year after this book was written. He was a very brave and talented climber. I have listened to many books and this is in my top 5 easily. It's 1 of those books you can't stop thinking about for weeks after. 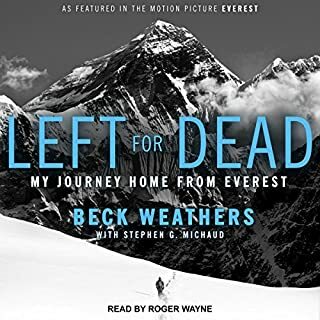 Boukreev's account of the 1996 Everest Disaster start's long before Everest itself ever comes into view and gives some fascinating insights into commercial mountaineering and the organisation that goes into expeditions such as that to Everest. Boukreev's book doesn't dwell on the history of the mountain but gives a full account of events from his perspective without trying to second-guess the actions of others. Intelligently and emotionally told, one gets a sense of the perfect storm of circumstances that led to the disaster and differing ways in which people responded. Only disappointment was that there was no afterword from friends or family following Boukreev's untimely death, leaving his story feeling like it lacked a final chapter. I’ve read in to thin air which I thought was ok but this for me is a way better book. Much more balanced view which I am sure comes from the fact that there was no real agenda to produce a sensationalised version of events for an article or to try and write a best seller. Just a humble account of what actually happened from the point of view of the only persons lucid enough at the time to be able to accurately recount the events. 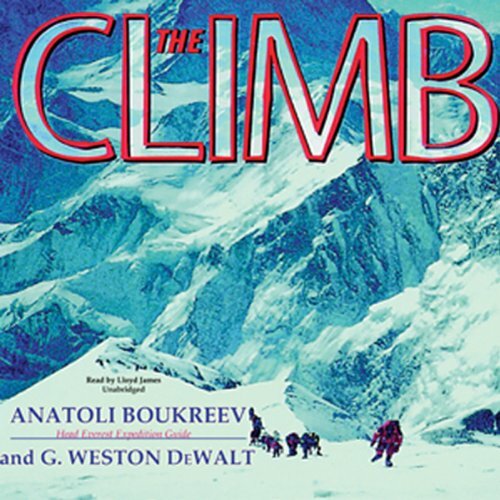 I have a lot of time for the late Anatloi Boukreev, and was fascinated by the insight that this Boukreev-DeWalt partnership gave to the infamous 1996 Everest incident. Jon Krakauer's knee-jerk warts-and-all ego-massage has never rested well with the mountaineering community, but is so well written that it became an instant classic that has dominated public perception of the incident. Bias drips from Krakauer's tome. Alternative accounts have always been vital, and perhaps no more so than in this case. This book lacks literary verve. But, stripped from linguistic junk, it's an honest and fascinating insight that allows an important voice to emerge. The Climb is not well written. It's not particularly well read. But it is a must-read. 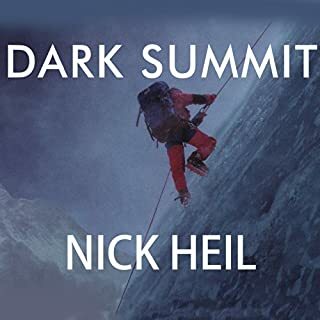 The Climb is a balanced view of what must have been a horrific few days on Everest. Boukreev sets the scene describing events before and during the climb giving you just enough detail to wonder which decisions, if changed, could've made a difference. Boukreev comes across as an honourable, even humble guy going above and beyond the norm trying to help others in an extreme situation. 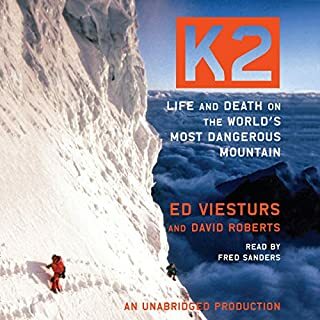 Boukreev's understanding of the challenge and threat presented by mountains and the pain felt in being unable to help Scott Fischer is palpable. 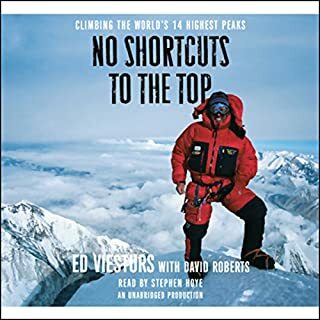 The wisdom of Boukreev comes through in this excellent, balanced account of the Everest attempt. A different point of view ! It is always intelligent to get a different perspective on a situation and not be blinkered by someone's point of view!!!? Spellbinding tale of the "Truth"
I found it very easy to listen to this audiobook. The performance was well done and the story was well written. 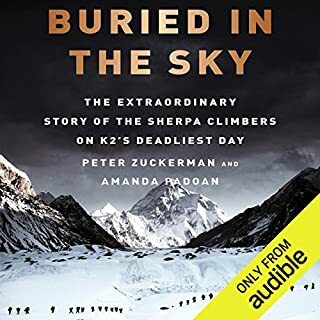 It appears that this account of the tragic Everest season pulled it's information from multiple sources and interviews. very interesting to see how a series of small decisions can lead to such a sad loss of life.